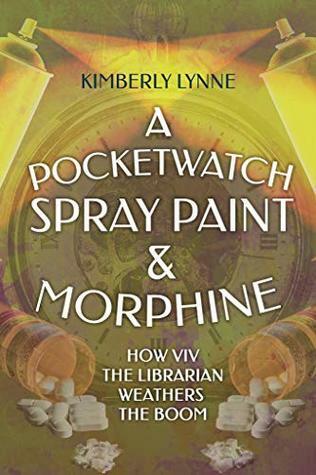 #bookeveryweek Kimberly Lynne's A Pocketwatch, Spraypaint and Morphine: How Viv the Librarian Weathers the Boom. This book started out so normally, then took a left turn at Albuquerque and never looked back. I was so pleased! In fact, there's not much I can tell you about the book that doesn't spoil the fun. It's better if you don't know what the left turn is or if we ever turn right again. Viv the Librarian had, in fact, an amazing adventure that had me thinking about what I might do in similar circumstances. If you need a hard scientific explanation for strange happenings in a book, you won't find one in here, but you will find an interesting cast of characters who are brought together by strange circumstances. 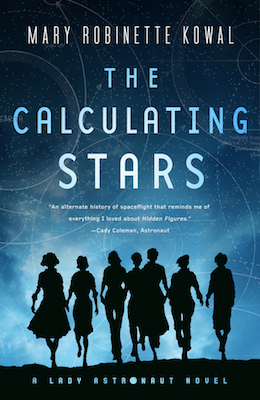 #bookeveryweek The Calculating Stars by Mary Robinette Kowal I loved this book. It was a wonderfully complex story about a wonderfully complex and interesting woman. So much depth throughout! 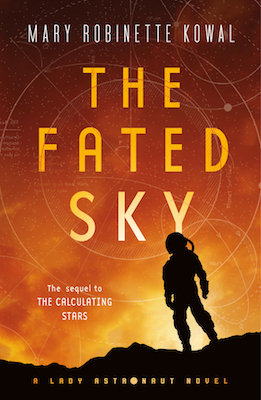 The book is an alternate history, exploring how the space race might have gone if an extinction level meteorite strike had happened in the 1950s. That part was fascinating enough (oy! the politics! 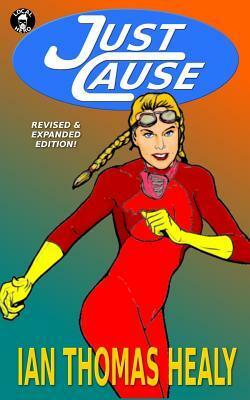 ), but it was secondary to the journey of the main character, Elma York, a brilliant mathematician and pilot. A young woman and wife in the fifties, Elma felt very real to me, reminding me of women like my own grandmother, women who had taken on expanded roles in World War II and resisted when society tried to shove them back into the housewife box afterwards. Elma's husband is maybe a little Marty Stu in his complete support of his wife's ambitions, but you know what? I'm okay with a little wish fulfillment in this case. Elma isn't a revolutionary on purpose. She doesn't set out to shake things up, but when the fate of the human race is at stake, there isn't time to wait for society to decide its ready for change. Elma has a great growth arc, learning to manage her anxiety and step up when the world needs her most. She learned about her own blindness about race issues on the way. The tension of trying to move forward in her ambitions while even her own internal voices were shouting her down with accusations of unladylike behavior was well portrayed. I found it an inspiring underdog story, full of realistic hope. I'll definitely be back for more of this character and this story. 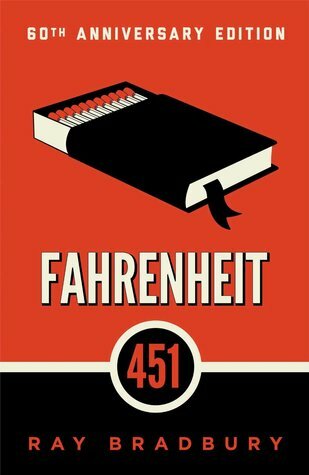 #bookeveryweek Fahrenheit 451 by Ray Bradbury. Though I've long been a fan of Mr. Bradbury's short stories, I hadn't ever read this, arguably his most famous book. I'm sorry to have to say I didn't like it that much. 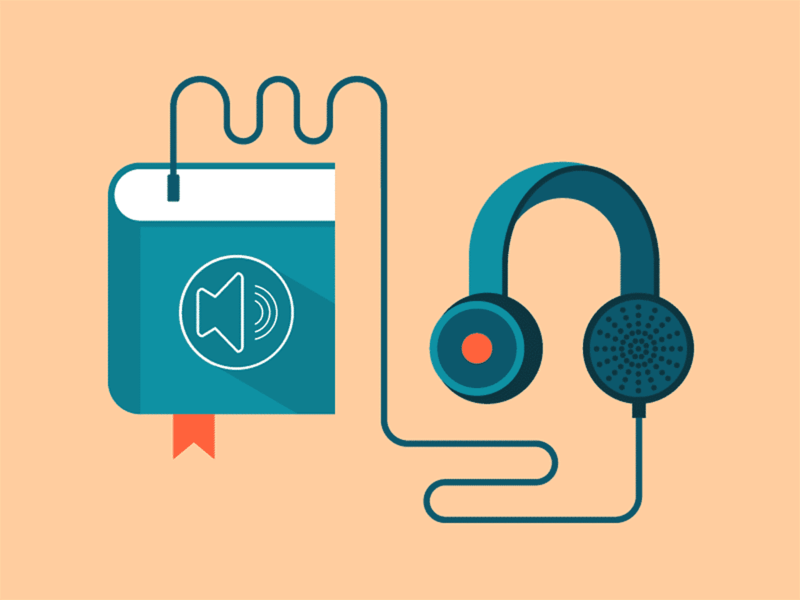 The ideas behind the story are familiar Bradbury territory: the dangers of reliance on technology, the de-humanization of people, the hard-won lesson, the importance of thinking for yourself. I'm a bleeding heart liberal myself, a supporter of education and considered thought, so I like the ideas. That's not the problem. But what works in short form is not as great longer for, at least not in this case. 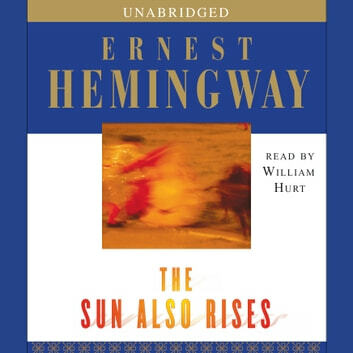 One of the things I've always appreciated about his short stories is the unapologetic and straightforward earnestness and sincerity. Especially now, when everything seems so damn ironic and cynical all the time, impressed with its own cleverness, reading Ray Bradbury can feel like a breath of fresh air. But in this book, I found that directness came off ham-fisted. Clumsy even. No subtlety. No build. In a longer work, I expected to delve deeper into the characters, but I didn't find it. Montag was a man who did things, but it was never clear to me why. Why did talking to Clarisse affect him so deeply? There was nothing in their conversation that sparkled enough to make me see what he apparently saw, nothing life-changing. He was taking some terrible risks, but even he didn't seem to understand his own motivations. I understood that Millie, Montag's wife, was supposed to illustrate what a society without books and genuine interactions could do to a person, but she was so vapid as to be only a caricature. She was a sketch only, exhibit A: cautionary tale. None of the complexity that even a shallow character needs to feel real and to be emotionally affecting. Given that the book has so few female characters (Clarisse, Millie and Millie's friends), it's sad that they are used only to illustrate a point and not explored with any depth. We don't see any civilian men painted as similarly ruined by this society, so it plays into some 1950s gender politics that just didn't age well. There are some highly quotable lines if you're looking for that kind of thing, but they feel stilted to me in the context of the story, like the characters are merely mouthpieces for the moral of the story rather than people I can care about. Sorry, Ray. I'm sorry this is the work people have heard of. It's not your best work. 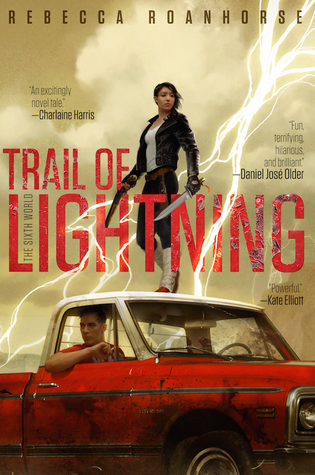 #bookeveryweek Trail of Lightning by Rebecca Roanhorse. Maggie Hoskie is a wonderfully complicated character at the center of an epic struggle with cosmic implications. A fast and engaging read that left me wanting more without leaving me unsatisfied with the ending of this first book in the series. I hope it continues well! 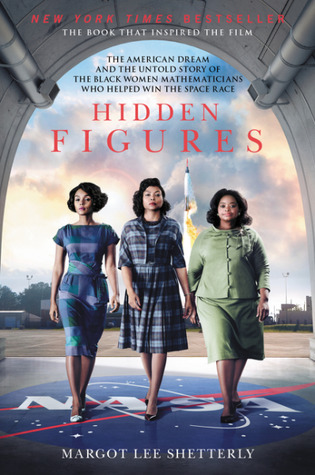 The best part: a woman character with tragedy in her past who is realistically impacted by that and who grows through her relationships with others without finding that love is a miracle cure. Maggie is functioning in a difficult world despite her pain when the story begins and I found myself cheering for her from the get-go, hoping that she'd find her way to a better and fuller life on her own terms. Really liked a lot of the supporting characters as well. The second best part: the mythological bits. Big Water and the Sixth World, Clan Powers, Coyote (Ma'ii), Neizghání, witches. This is not mythology I've read over and over again, so it felt fresh to me, and I really loved the way magical/mythological elements were commonplace and known to everyone without question. The less good parts: the makeover scene (I think I'm too old for that "she cleans up so hot" moment to have the impact it might if I were actually a young adult), the wandering (I was never clear on what was guiding this journey, but they were always right about where they went next to look for a clue), and. Neizghání. When we finally meet Neizghání, Maggie's former mentor, "in person" he is NOT AT ALL what I was expecting based on what we'd heard about him up to that point. He seemed, well, stupid (as in un-intelligent, brutish, no subtlety) and I had trouble parsing that with Maggie's obsession with him, even given the rescue angle. I like surprises, but only when they fit in with what I do know. He didn't fit. 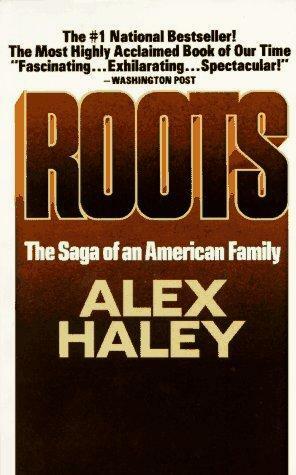 So, I would read more, but the story is not without its flaws.